BHS stands for Behaviours, Hardware and Systems, the three pillars of the safety and quality management model. We provide workplace safety, health and quality risk management consultancy services to clients throughout New Zealand. Based on the Kapiti Coast north of Wellington, it was formed in 2002 by its Principal Consultant and majority shareholder Brian Holmes. BHS Solutions Ltd aligns with the UK based Ryder-Marsh Safety, who prepared the Behavioural Safety standards for the Offshore Oil and Gas (North Sea) industry. BHS Solutions offers a behavioural safety programme using Ryder Marsh material. 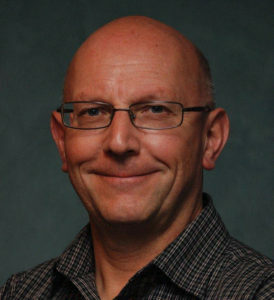 Brian Holmes is the Director and Principal Consultant of BHS Solutions Ltd. Brian is a HASANZ registered health and safety professional, and an Accredited Assessor for the SafePlus workplace safety performance improvement onsite assessment and advisory service. He is a Fellow of the UK based International Institute of Risk and Safety Management, and carries their designation ‘Recognised Safety Professional’. He is also a Graduate member of the New Zealand Institute of Safety Management, and as past Manager of the Wellington Branch was on the NZISM National Executive. Brian represented the NZISM on the Standards New Zealand Committees SF-001 Occupational Health and Safety Management, and 7901:2008 Electricity and Gas Industries – Safety Management Systems for Public Safety. He has wide international risk management experience in occupational and operational safety, food safety and quality management, with international port security added in 2011. Brian has a broad skillset, with particular expertise in best practice and compliance audits, incident investigations, and safety culture. He is passionate about helping leaders and front line workers to be aware of, understand and mindfully apply the skills and behaviours which keep people safe or place them at risk. Prior to reactivating BHS Solutions in 2012, Brian was Health, Safety and Security Manager for CentrePort Wellington, a role he moved to from the New Zealand Defence Force where he was Director of Naval Safety Policy reporting to the Deputy Chief of Navy. Before his migration to New Zealand with his then young family in 1996, Brian held a head office based safety risk management role with Britain’s largest private employer and multi-national food and grocery retail group Tesco Stores Ltd. Shortly after arrival he gained the position of Safety, Health, Environment and Quality Manager with Dulux New Zealand which at the time was part of the Orica group, previously ICI Australasia. There he was trained to ICI standards in occupational hygiene, senior leadership skills, and safety, health and environment management systems audits. He was also privileged to train and serve as an Evaluator for the prestigious national Business Excellence Awards Programme.